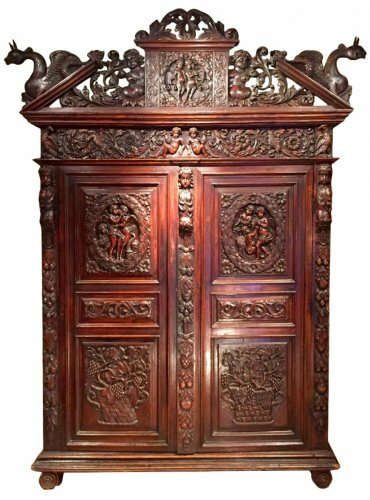 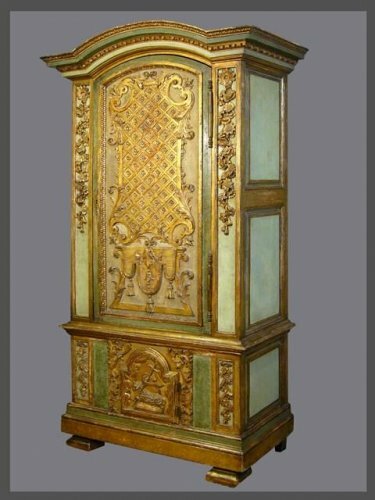 Biblical walnut cabinet symbolizing justice, Languedoc Louis XIII. 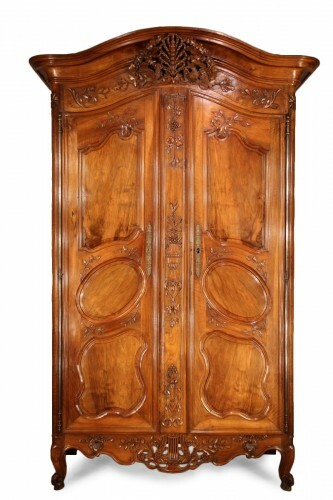 An emblematic piece of storage furniture, cupboards are extremely sober and are of a refined elegance. 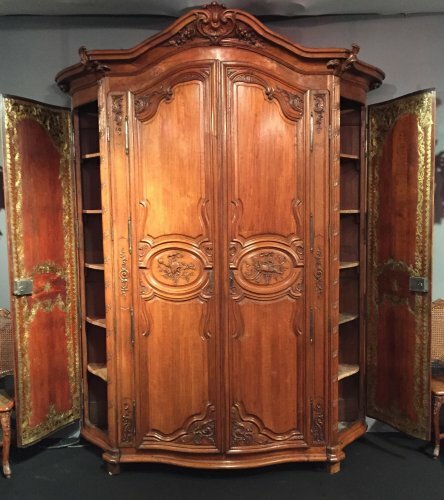 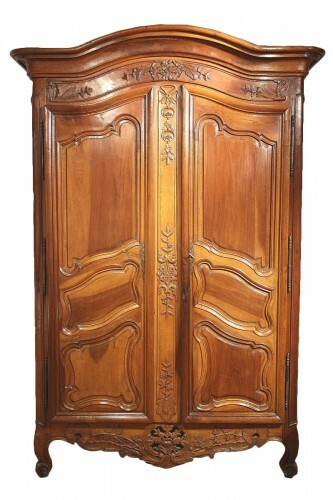 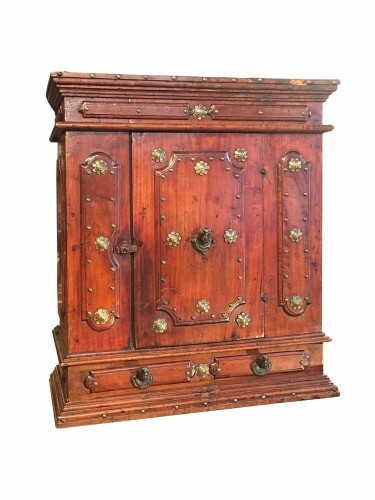 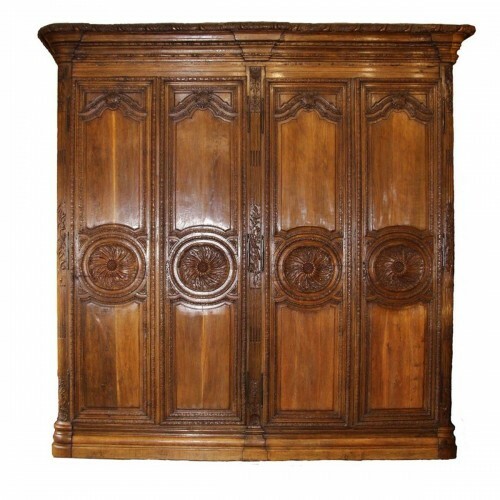 In various styles and periods, this piece of furniture has been made in various regional woods to provide storage space that is perfectly suited to its environment. 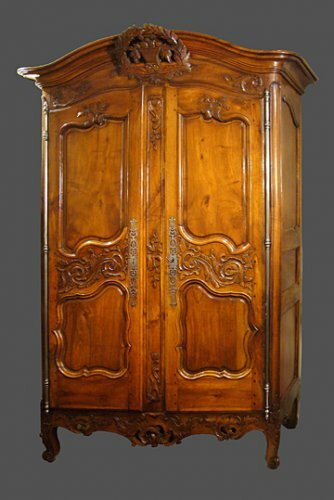 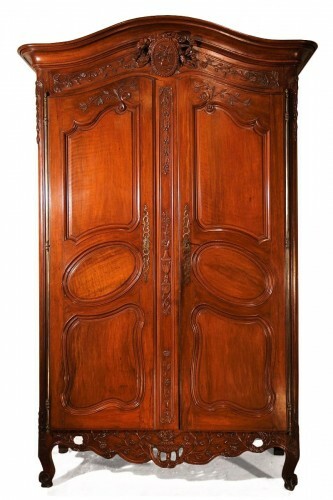 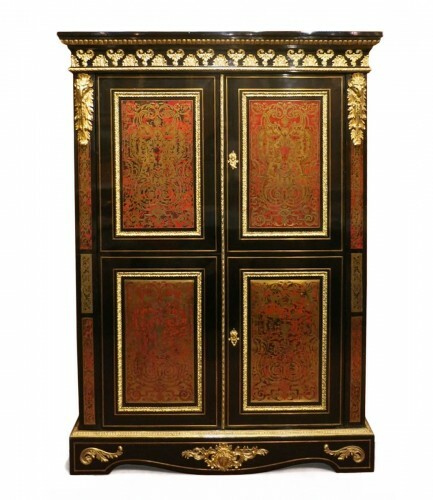 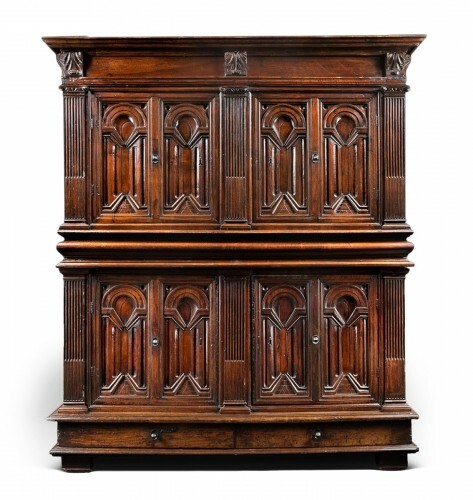 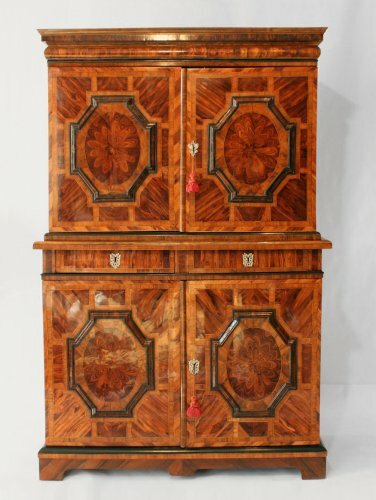 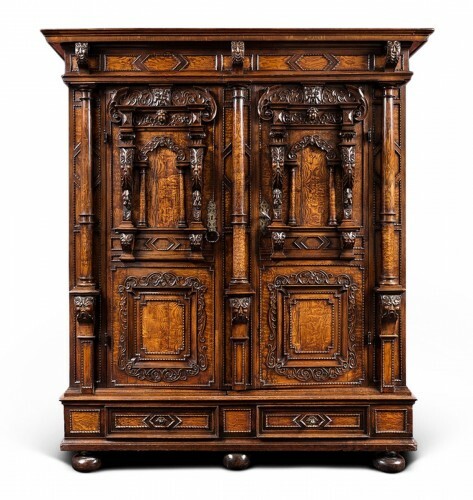 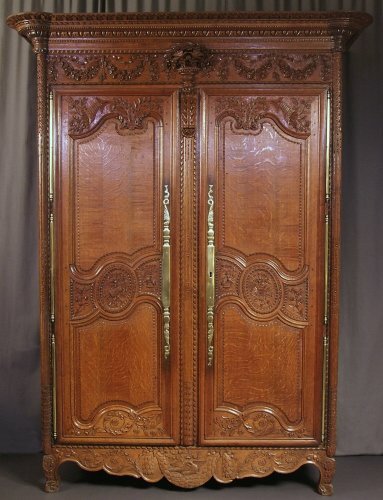 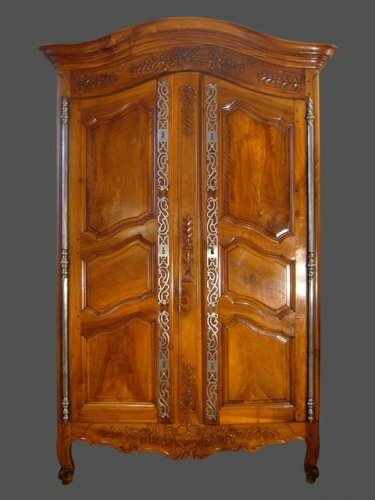 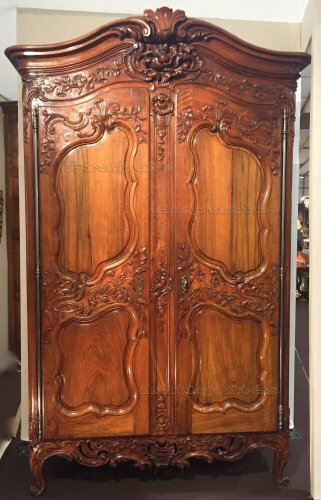 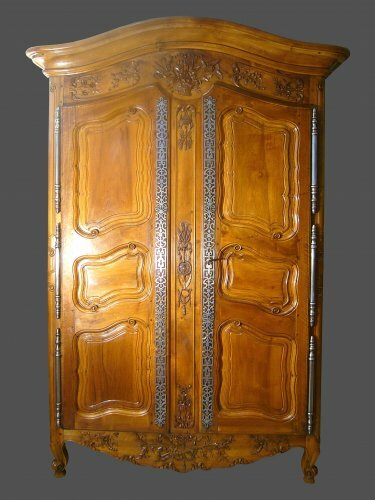 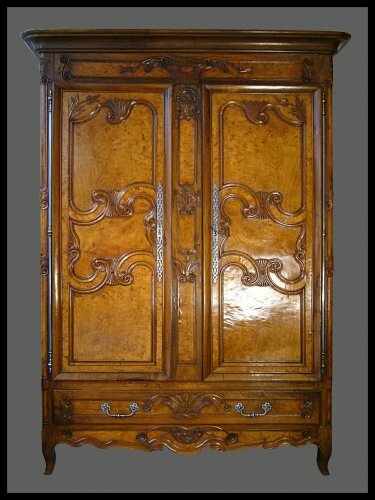 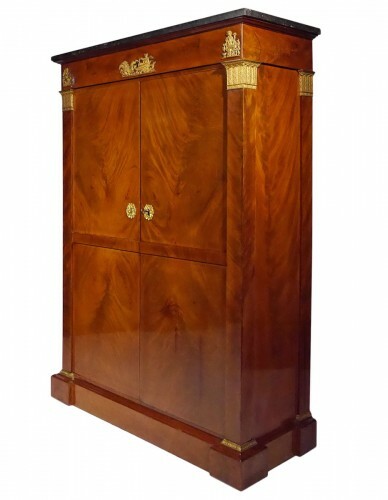 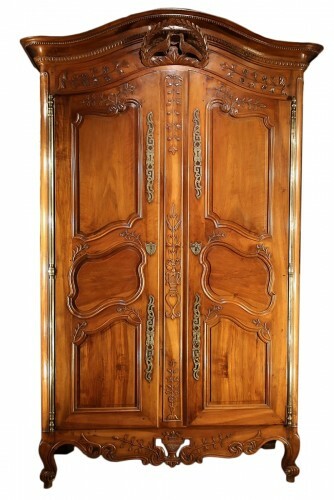 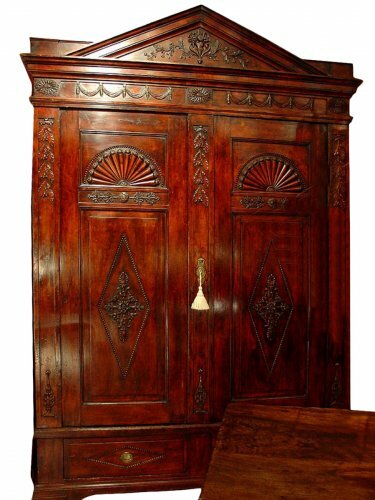 Made in burled walnut, oak, mahogany, Boulle marquetry, or natural wood veneer, antique cupboards constitute a heritage of exceptional expertise. 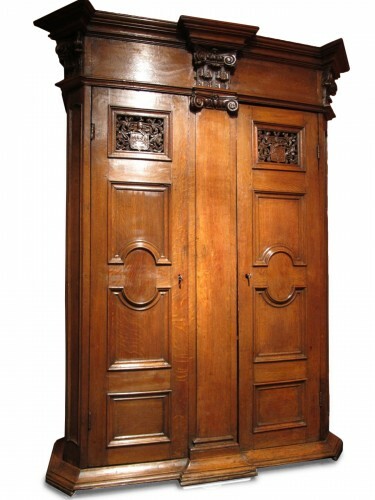 Consisting of one or two superposed sections, they have one, two, or four doors. 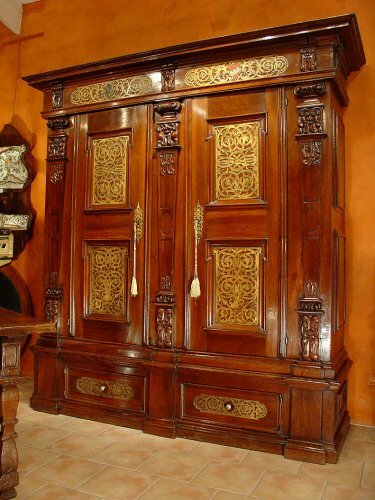 Their wooden panels, cornices, frames, and lower crosspieces highlight motifs that are characteristic of various styles and ornamental trends: diamond-shaped motifs, shells, rosettes, daisies, lozenges, and so on. 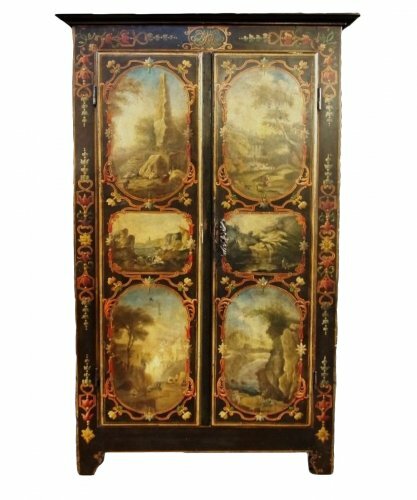 This piece of furniture perpetuates the charming rustic style of furniture that is part of our exceptional regional heritage.